When planning a wedding or special event; you want everything to be perfect. You probably feel like you will spend any amount of money it takes to have the perfect day, but you will soon realize that your budget can’t afford that expense. So why not recruit some help from family or friends and spend some time making a few of the items for your wedding or special event? You will have fun and save money at the same time. 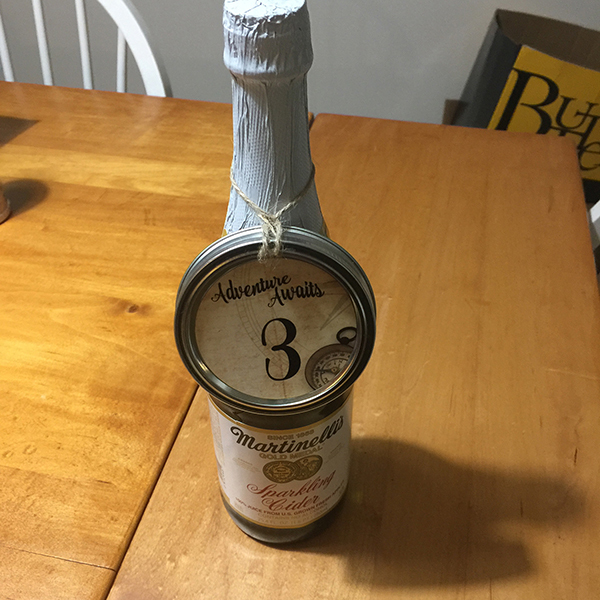 One project that can be simple to complete is table numbers that hang from a bottle of wine or sparkling cider. 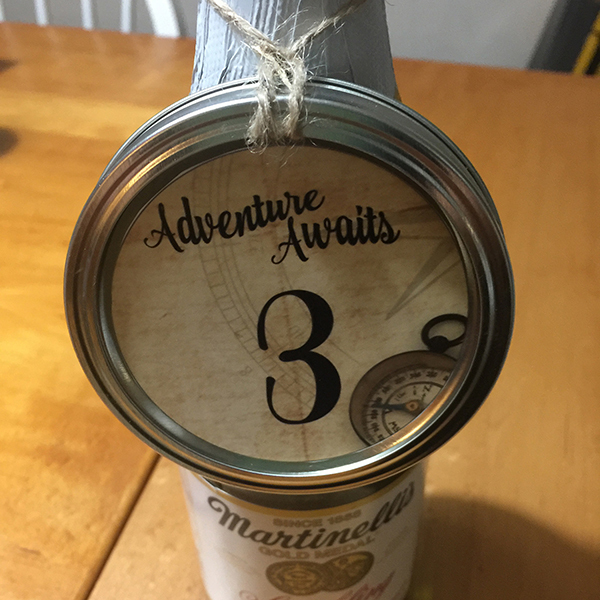 These table numbers are constructed from Mason jar bands and lids, paper, a printer, watercolor paints or scrapbook paper. 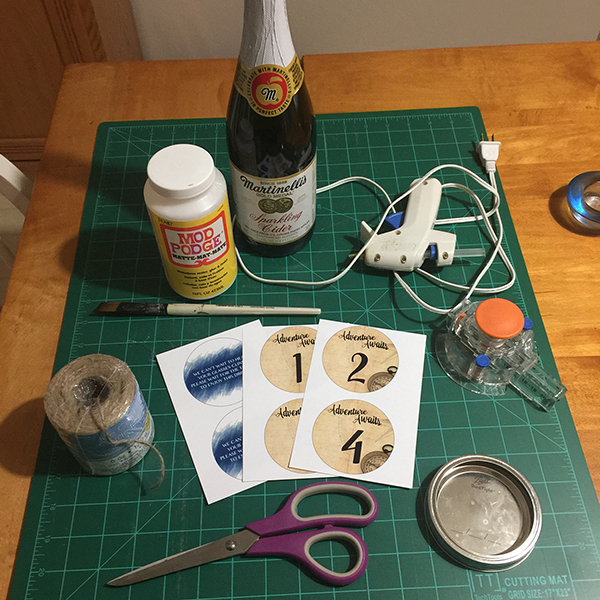 In this tutorial I will go over a few different ways to complete these fun table numbers. You may also choose to purchase my affordable pre-formatted table numbers as an instant downloads on Etsy (here). Some of these options are also available for purchase on Etsy (here). 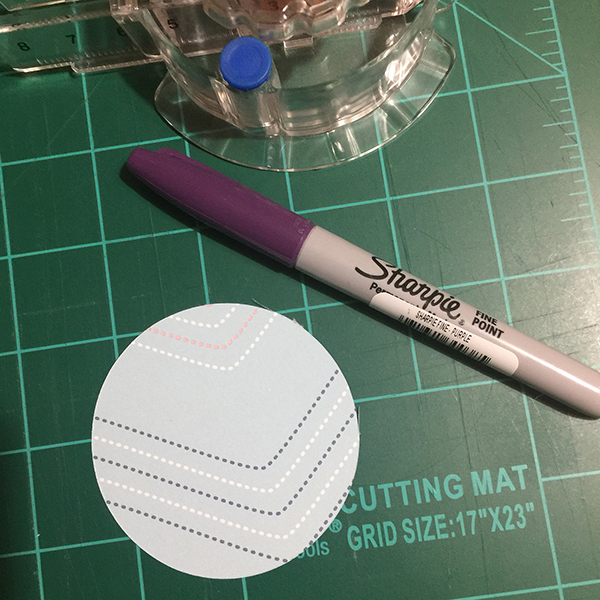 Step One: If painting on watercolor paper, trace the size of lid you’re using on the watercolor paper, paint with watercolors, let dry and then either brush on your text or table number or write with a sharpie. If using a printed background, print it on your paper. Trace circles of the correct size onto the paper, hand letter your number or text. If using scrapbook paper, trace your circles and write message or table number where desired. If using the instant download, purchase here, download, and print on the paper of you choice. 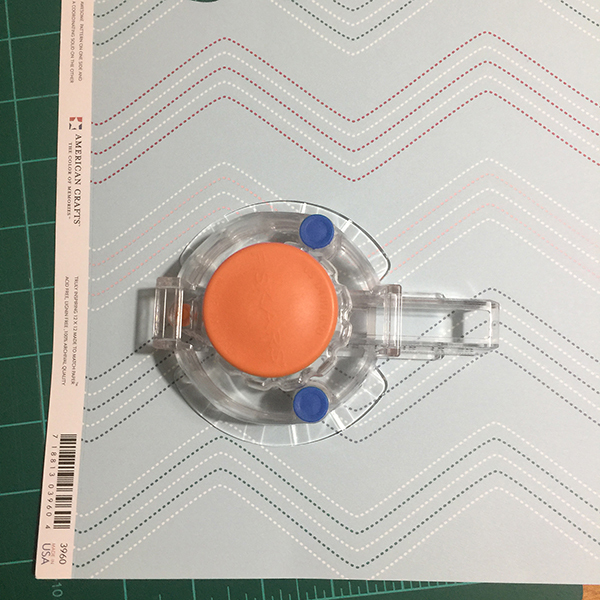 Step two: Trim circles to correct size. Step three: Coat lid and backside of circle with Mod Podge and adhere to the Mason jar lid. Then coat the top of the print with Mod Podge and allow it to dry. Step Four: Tie your twine or ribbon around the Mason jar band as shown. Step Six: Make hot glue “tab” on the backside of the band and lid as shown here to make sure your lid stays in place. Let hot glue cool. Remove glue strands, if any hanging from the finished piece. Step Seven: Hang your creation from wine or sparkling beverage bottles as shown. You’re done! Wow! Wasn’t that simple. It didn’t take much time, you saved money and it added a personal handmade touch to your wedding! I would love to see photos of how you used this project at your event or wedding! For more tutorials and inspirational thoughts visit www.bethericksondesigns.com. Sign up for our product updates and special offers at our Etsy Shop here.